Gustavus senior Bri Monahan and junior Jess Vadnais have been named Co-MIAC Players of Week in women's basketball. The duo combined to help the Gusties claim wins over Augsburg, Bethel, and St. Ben's last week. The Gusties have now won eight straight games and are a in first place tie with St. Ben's with a record of 13-2. The Gustavus Adolphus College women's basketball team continued its winning ways with a 84-75 victory over the College of St. Catherine in St. Paul on Wednesday night. Bri Monahan and Jess Vadnais once again led the Gusties in scoring with 28 and 22 points, respectively. Gustavus improves to 17-2 overall and 14-2 in the MIAC. The Gustavus Adolphus women's hockey team defeated UW-Superior 4-2 Tuesday night in Superior, Wis. The second-rated Gusties behind two goals from Stefanie Ubl and two assists from Andrea Peterson, ran their record to 16-1-0 on the season with the win over the fifth-ranked Yellowjackets. Gustavus has a key MIAC series this weekend (Feb. 2-3) when they face St. Thomas. 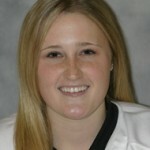 Gustavus Adolphus College sophomore forward Jenny Pusch (Minneapolis, Minn./Holy Angels) has been named Minnesota Intercollegiate Athletic Conference Women's Hockey Player of the Week for the week ending January 28, 2007. Pusch scored five goals, including three on the power-play and both game-winners, to lead the Gusties to a weekend sweep of Bethel. The Gustavus Adolphus Nordic ski team wrapped up their weekend at the CCSA/NCAA Qualifier at Telemark Resort near Cable, Wis., by competing in classic technique races. The Gustavus women placed four in the top 25 overall, led by Sarah Willis in 19th place. The Gustavus men were led by Scott Kyser, who finished 52nd overall. The Gustavus women's swimming team turned in a strong all-around team performance in defeating Carleton (rated #18 in the Collegeswimming.com national poll) by the score of 156.5 to 141.5 in St. Peter on Saturday afternoon. First year Carrie Gundersen led the Gusties as she posted wins in both the 500 freestyle and the 1000 freestyle. The Gustavus Adolphus College men's swimming team posted a 195-103 dual meet win over Carleton on Saturday afternoon in St. Peter, Minn. The Gusties, who claimed eight individual event titles and two relays, were led by Matt Stewart, Scott Hagemeyer, and Connor Ziegler, who all picked up two individual event titles. The Gustavus Adolphus College men's hockey lost to Bethel University 3-2 on Saturday night in St. Peter, Minn. The Royals scored the winning goal on a power play with :32 seconds left in the game. It was a tough pill to swallow for the Gusties who suffered their first two conference losses of the season at the hands of the Royals, losing 4-3 on Friday and 3-2 on Saturday. Eleven Gustavus Adolphus Nordic skiers competed in freestyle technique races Saturday at the FIS SuperTour/NCAA Qualifier at Telemark Resort near Cable, Wis. Laura Edlund finished 28th overall (18th among collegiate skiers) to lead the Gustie women, while Scott Kyser finished 53rd overall (28th among collegiate skiers) to lead the Gustavus men. The Gusties will close out the weekend by competing in Sunday's classic races. The Gustavus Adolphus College women's basketball team built up a 21-point lead midway through the second half and then held off a furious St. Ben's rally to claim an important 66-58 win over the Blazers in St. Peter. The Gusties improve to 13-2 in the conference and move into a first place tie with St. Ben's. 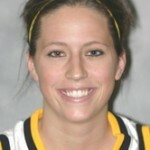 Gustavus was led by Bri Monahan with 22 points, and Jess Vadnais with 21.